​Yeah i don't know, i mean it ain't really that big of a deal i ain't gonna lose sleep over it. it just would have been nice if the votes weren't erased ya know? but yes it would be appreciated if this issue could be resolved or looked into. mine would have to be this by Gray Fox: "Snake, we're not tools of the government, or anyone else. Fighting was the only thing... the only thing I was good at. But... at least I always fought for what I believed in." What game would you like remastered for the new consoles? Have you ever bought a console just for one game? ​What is it you like about mgs2? ​Yeah, that's exactly what i thought. i recently played through mgs1 again and it doesn't age great honestly, but for a like 20 year old game i cut it some slack. Whoops, I guess if you edit the post it deletes all the votes? Guess I won't be doing that again :/ If everybody wants to vote one more time that'd be awesome! Btw, it sounds really dumb but I can't figure out how to vote on the thing myself. When I click on a game it doesn't do anything. Anybody know if I'm just a big dumb dumb or if because I made the poll I can't actually vote on it? Thanks in advance! Honestly, I'm really looking forward to this game. Basically, this thread is to talk about anything and everything MGS related. 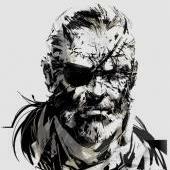 Metal Gear is my favorite game series on the entire planet; nothing will top it in my opinion. I think the characters, story, graphics, etc are the best. They all make a very polished product. Now I'll just start this off by doing a quick poll and then taking it from there!